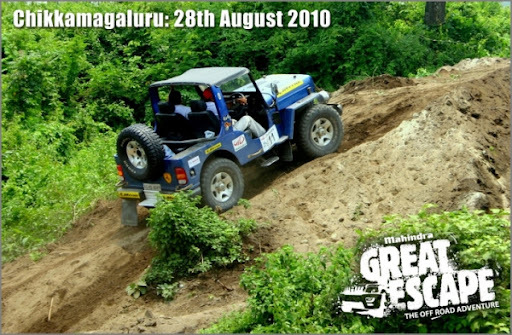 After organising a great successful off roading rally at Goa, Mahindra is going to organise the 61st Mahindra Great Escape at Chikkamagaluru, Karnataka on the 28th August 2010. So all those who missed it in Goa, this is another opportunity to enjoy the Great Escape. Great escape is organised by Mahindra & Mahindra ltd exclusively for its all-terrain vehicles like Bolero and Scorpio. Mahindra is probably the only 4X4 utility vehicle manufacturer in India to organise an off-road driving adventure. Every year, many adventures are organised to coincide with different seasons. You too can join the 4X4 brigade with your Mahindra vehicle, and take the excitement all the beaten track.